Rio Ave Tondela betting – Round 20 of the Primeira League debut with a match in which the hosts are unbeaten in the last 3 stages, while the guests come after 3 games without victory. 1. 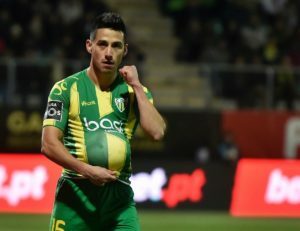 Latest information before Rio Ave – Tondela! He is a middle-class team who is pleased with a decent run without getting involved in the fight for the Europa League. It relies heavily on developments on the ground, with two defeats in 10 games. A week ago he won an unsuccessful victory at Maritimo, goals Diego Lopez and Joao Schmidt. Problems are when they play in front of their supporters: the latest success dates back to October 27! Missing 2 of the main scorers, Gelson Dala and Gabrielzinho. On the reserve list is Serbian defender Borevkovic and striker Joca. Joca evolved last season to Tondela, with a loan being brought from Braga. Carlos Vinicius, the scorer of the team, missed the last match, and in the meantime he was transferred to AS Monaco. He was loaned to Rio Ave, being Napoli’s player. Excellent start to the new year, victory away at Santa Clara, followed by a home-based success with Sporting Lisbon. He did not confirm, bringing only one point out of the next 3 games. A week ago he lost on his own field with Aves, one of the rankings of the leaderboard. After this failure he went down to 13th, being now 3 points the first relegable team. Has an identical path to Rio Ave in outdoor games, including the golaver: 13-16! Offensive midfielder Tomane scored 3 times this year, becoming the top scorer of the six-time team. Right back David Bruno came out of the field after 30 minutes of play in the previous round and is unavailable for the game. On the list of absences add the central defender Oliveira Fernandes who received red card with Alves. 2. Rio Ave – Tondela probable teams. Rio Ave (4-2-3-1): Leonardo – Nadjak, Buatu Mananga, Monte, Reis de Lima – Coentrao, Schmidt – Tarantini, Lopez Diego, Jambor – Moreira. Tondela (4-4-2): Ramos – David Bruno, O. Fernandes, Alves, Joazinho – Delgado, Monteiro, Lamine Jaquite, Xavier – Pena, Tomane. In the tournament the two teams ended up undecided, score 1-1, goals Pena and Galeno respectively. It is interesting that in the 7 duels starting with 2016 scored both teams! Rio Ave was forced once in front of his supporters in 2017, at a time when Tondella had great trouble saving himself from relegation. The goals were those that made the audience delight in all the direct meetings. Rio Ave will attempt to confirm the good game shown on the move from Maritimo Funchal. Tondela will try to recover at least one of the 3 Aves lost. The guests scored in 8 of the last 10 games. We take into account Tomane’s excellent form. An equality result is acceptable to both teams.